Did you know that 1 in 8 Sonoma Valley residents live below the official poverty line? Sweetwater Spectrum is proud to be partnering with Vintage House and F.I.S.H. 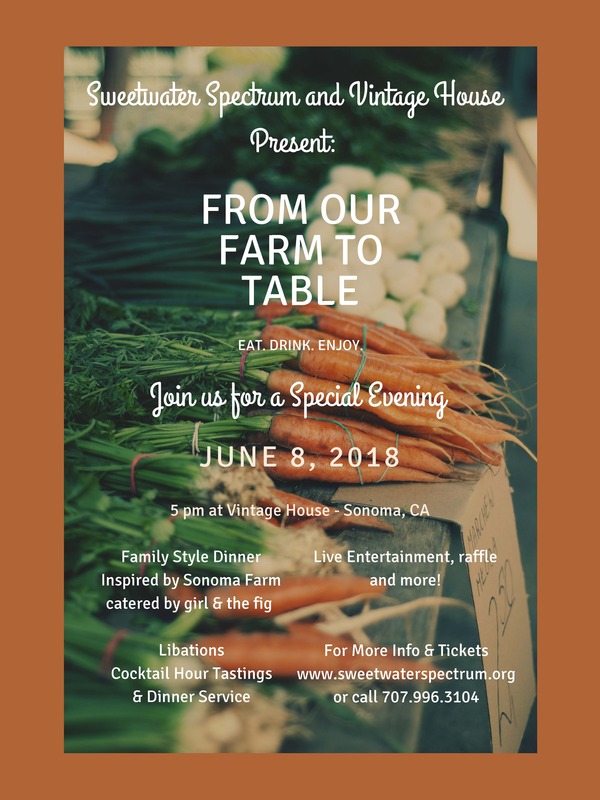 to help reduce the number of hungry bellies throughout the Sonoma Valley via soup carefully crafted by local chefs, inspired by the bounty of our farm. Help us fight hunger, one bowl at a time and purchase your seats today before they fill up! (Special early bird pricing). Tickets sold here.